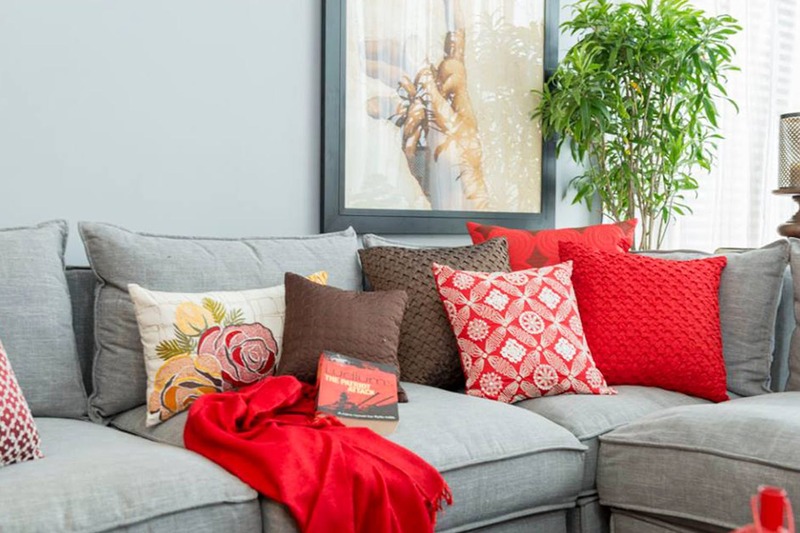 Score cool furnishings for every corner of your crib from the mother-daughter duo venture, The Cushion Project, whose fine fabrics and upholstery promises to give your house a luxurious look and feel. Mother-daughter duo Kavita and Neha Jhujhunwala have been in the textile industry for long thanks to their family business. When Kavita's passion projects of designing bed and cushion started drawing attention, daughter Neha, armed with her degree in textiles, got together with her to create their luxury upholstery brand, The Cushion Project. Featuring eclectic and refined designs, The Cushion Project boasts of high end and exquisitely designed home textile products like cushion covers, bed covers, runners, throws and mats. From indigo to ikat, their collection includes a variety of design and makes room for all kinds of home spaces. Glam up your casa with their 'Glimmer' collection or add some Turkish vibes with their 'Spice Is Nice' line. Cushion covers start at INR 450 and sets (of two) start at INR 900. The products of course have a fine feel but the prices are rather steep with the bed covers starting at INR 5,000.